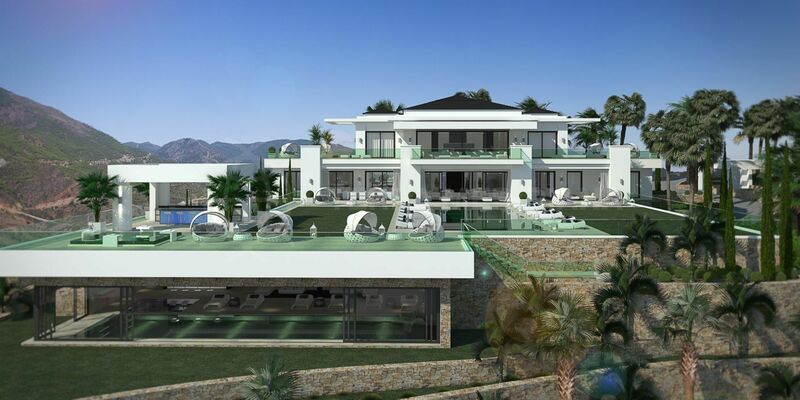 We are delighted to announce Terra Meridiana has been appointed the exclusive agent to handle the sale of Heaven 11, a brand-new, ultra-luxury, modern residence under construction in La Zagaleta, Benahavís. 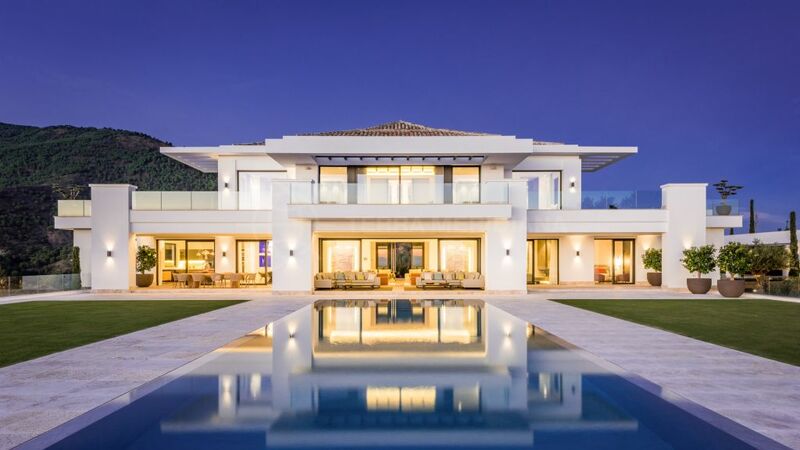 Acting on behalf of a private client, Terra Meridiana has been given exclusivity for the sale of a fantastic, new-build, contemporary villa – called Heaven 11, in reference to its elevated status – being built on the top ridge of La Zagaleta, one of the best residential developments in Europe. 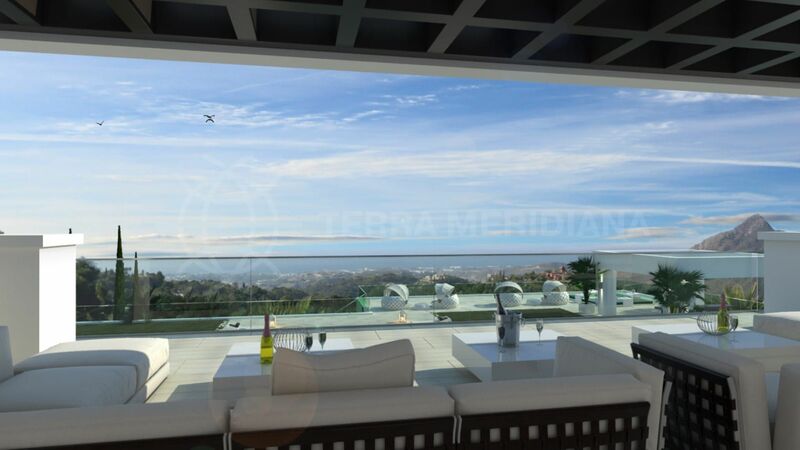 The landmark property, which is scheduled for completion by the middle of next year, stands on a plot of more than 5,000m2 that enjoys uninterrupted views of the Mediterranean, reaching as far as Gibraltar and Morocco. When finished, it will comprise more than 2,300m2 of built area, in addition to its extensive terraces. Designed by Sotogrande architectural practice, Ark Architects, Heaven 11 offers acres of light and airy living spaces on three floors, including multiple reception rooms, a cutting-edge chef’s kitchen, a master suite with its own living area and luxurious bathroom, and another seven guest bedrooms, all with en-suite bathrooms. 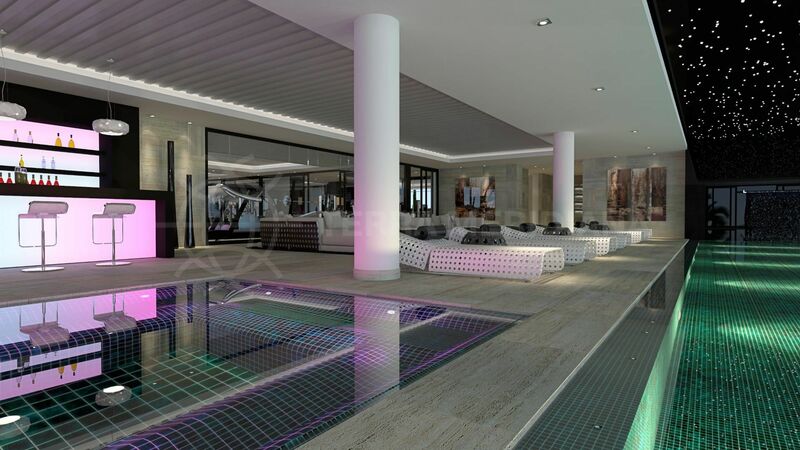 The basement has been envisioned as an ‘entertainment floor’, with a wine cellar, complete with tasting room; cinema; fitness suite and gym; office; and an indoor pool and jacuzzi, served by its own bar and lounge area. Outdoors, there is another infinity swimming pool and jacuzzi, overlooked by a chill-out and barbecue pavillion. What makes Heaven 11 unique among high-end homes in the Marbella area is a commitment to energy-efficiency that should make its running costs just a fraction of those of comparable properties. The design includes a wealth of sustainable, renewable and eco-friendly features to ensure heaven doesn’t cost the earth. We expect Heaven 11 will particularly appeal to affluent, discerning clients who are looking not just for a very special property, which it clearly is, but also for something very different from the norm, with all the advantages of living in La Zagaleta, high up in the hills, but close to all the earthly pleasures of the Costa del Sol.